Excellent prices on Grindworx Products. Links related to Grindworx Products are listed below. 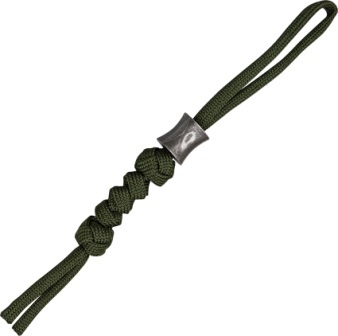 The Grindworx lanyard features a hand-forged damascus concave shaped bead matched with a hand-tied OD Green cord lanyard (6" overall). 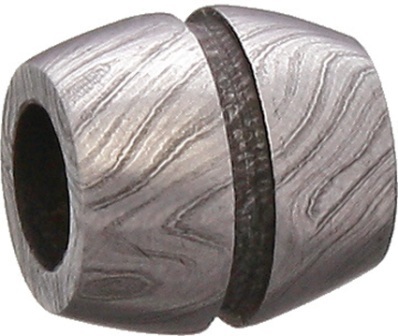 The bead measures 15/32" (width) x 1/2" (height) with a 1/4" diameter hole. The lanyard is tied with two diamond knots and three snake knots in between. This Grindworx lanyard adds an understated sophistication to your knife or gear. Due to the nature of damascus, each bead will be unique. Made in Pakistan. 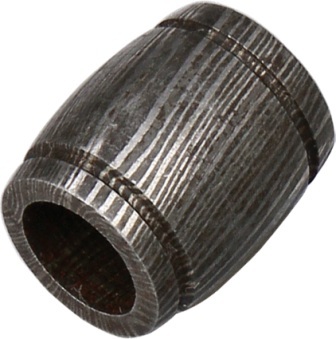 Size: 0.40" (w) x 0.50 (h). Hole Size: 0.25". Weight: 0.2 oz. Ideal for attachment to a lanyard. Bulk packed. Made in Pakistan. 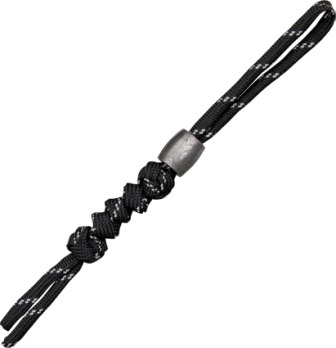 The Grindworx lanyard features a hand-forged damascus cylinder shaped bead matched with a hand-tied black cord lanyard (6" overall). 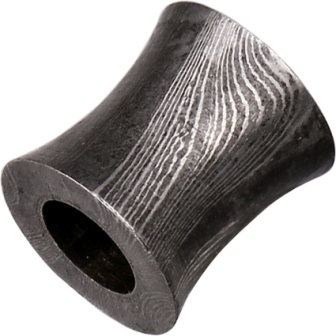 The bead measures 15/32" (width) x 1/2" (height) with a 1/4" diameter hole. The lanyard is tied with two diamond knots and three snake knots in between. This Grindworx lanyard adds an understated sophistication to your knife or gear. Due to the nature of damascus, each bead will be unique. Made in Pakistan. The Grindworx lanyard features a hand-forged damascus concave shaped bead matched with a hand-tied Slate Blue cord lanyard (6" overall). 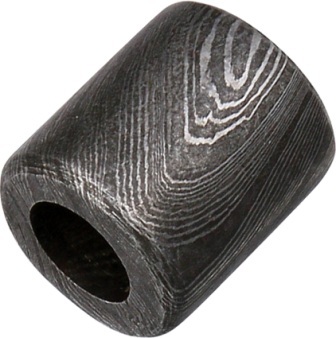 The bead measures 15/32" (width) x 1/2" (height) with a 1/4" diameter hole. The lanyard is tied with two diamond knots and three snake knots in between. This Grindworx lanyard adds an understated sophistication to your knife or gear. Due to the nature of damascus, each bead will be unique. Made in Pakistan. The Grindworx lanyard features a hand-forged damascus convex shaped bead matched with a hand-tied grey stripe cord lanyard (6" overall). 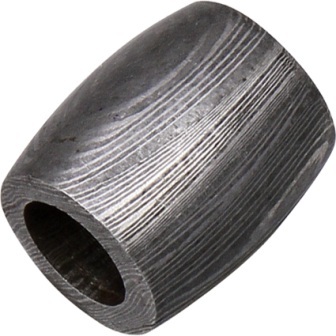 The bead measures 15/32" (width) x 1/2" (height) with a 1/4" diameter hole. 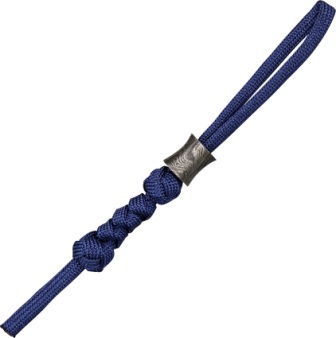 The lanyard is tied with two diamond knots and three snake knots in between. This Grindworx lanyard adds an understated sophistication to your knife or gear. Due to the nature of damascus, each bead will be unique. Made in Pakistan. Measures: 0.4" x 0.5". Hole Size: 0.18". Ideal for attachment to a lanyard. Bulk packed. Made in Pakistan.